Most chefs stay in this industry largely because of their passion for food. 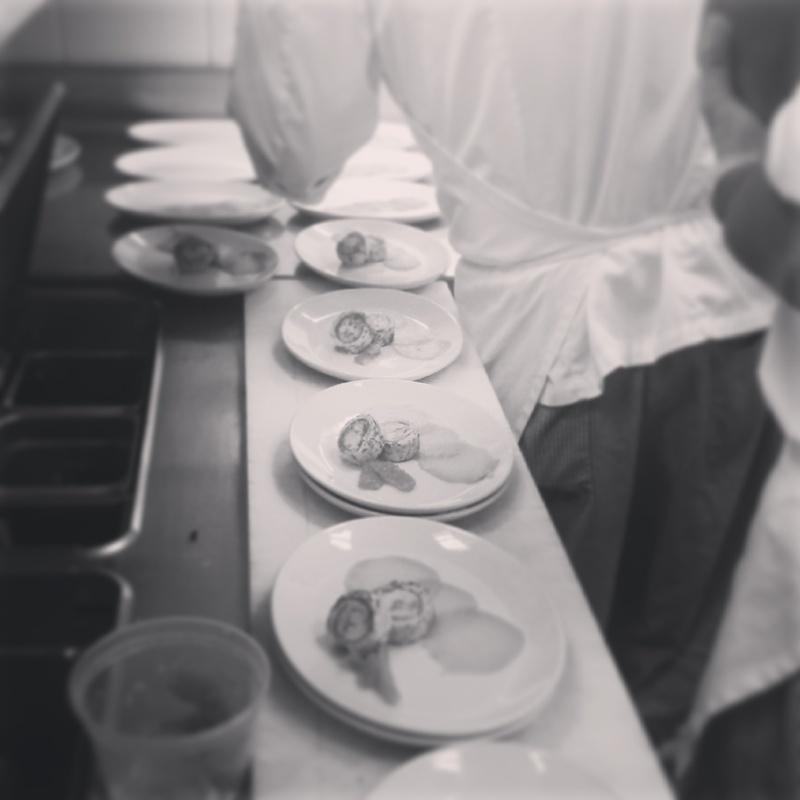 All chefs have (or at least should) have a gracious amount of pride when preparing dishes; it comes with the territory. We all learn and come from different culinary backgrounds, but the constant we all share is the pride – a reflection of our work ethics – put into each dish we serve. Most of us remain diligent in this industry because of that. We want to continue expanding our culinary encyclopedia and continue bringing our customers the best possible dishes imaginable. Yet, there is another reason why so many of us stay in this industry and it is less commonly known – the rush. The rush, is quite possibility the best and worst part of the business. A paradox of everything we love and hate about this industry. Yet, within the insanity of a dinner rush lies an odd connection for us chefs. The ability to craft out multiple-well-designed plates under constant pressure creates a very unique sense of accomplishment for chefs. It complements the pride we take in creating a great dish for a customer. In combination with the stress the rush brings and the ability to succeed amidst such turmoil some of us find ourselves becoming addicting to actual rush itself. The tsunami of orders a rush brings creates a sense of adrenaline for the hot line. The ability to withstand a bombardment of checks and orders without missing a single beat may be one of the most gratifying experiences in this industry. The uncanny ability for an entire kitchen to pull together and work in harmony under constant non-stop pressure for five-plus hours is exhilarating. Knowing that every customer that came in that evening enjoyed their meals is just icing on the cake. Someone outside the industry may think it is borderline insane to actually enjoy the stress that comes with the chaos of a rush, but to be honest there is nothing else like it; in any profession. Granted, some restaurant rushes are much better (or worse depending how you look at it) than others, but they all have a redeeming quality about them that keeps us coming back. To put it simply, it is the only profession where each night you have a challenge. Overcoming that challenge with flying colors nightly is beyond thrilling. To do so on a Friday or Saturday, when your place is dealing with a two hour wait, is likened only to completing the final challenge on Nickelodeon’s Guts; successfully climbing atop the Aggro Crag. There is nothing else that can compare when the entire hot-line crushed the rush. To be honest, the rush is largely one of the main reasons we embrace this profession. You have to love the thrill of the rush. You have to love the ability to collaborate not just components on a plate, but with co-workers on a line and completely embracing the pulse of this profession. For as many times as we may hang our heads in disbelief mumbling, “Glad this night is over.” Those nights are trumped when the kitchen leaves smiling knowing we all just kicked the crap out a dinner rush – that – is the feeling of accomplishment that keeps us all coming back. The rush is the heartbeat of this business how can you not love it? Previous Previous post: Service Industry Problems: Is Fooling Around With A Co-Worker Taboo?